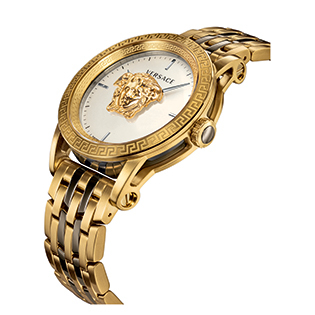 Strong, bold and precious, Versace timepieces are the ultimate expression of the brand’s signature aesthetic. Exclusively Swiss Made, they are permeated by the same rock ’n’ roll spirit of the fashion collection and cleverly interpret its most celebrated iconic symbols: the Medusa head, the Greek key and the Baroque pattern. Produced exclusively with sophisticated materials and top-quality mechanisms, the various timepieces have an innovative design that is underscored by their graphic energy and a palette of strikingly vibrant chromatic notes. 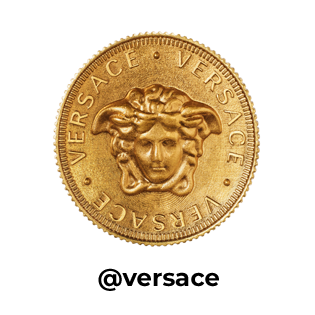 More glamorous and sensual for women, more technical and understated for men, they don’t hesitate to express the chic attitude and powerful character that define the Versace brand image.